They called it unsinkable, and it sunk. They wanted to go to America safe and sound, and they didn’t. Hundreds of lives lost, moms, dads, grandparents, children, dead, on the Titanic. Bang, clang, vrrr. The engine of the Titanic started with the sound of a car purring, Dad waved at us and smiled, nearly hidden by all the other people. He promised that he will come to America with us when he could. “Sometime soon.” I hoped. Mom said we could bring one toy onto the Titanic. 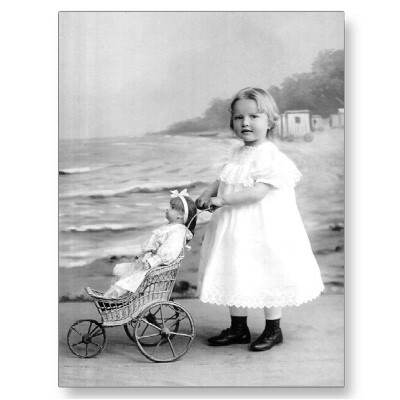 My brother, Escar, brought his marbles and I brought my doll, Mary. The Titanic was the loveliest ship I have ever seen. I looked around as I walked on the top deck of the ship. Beautiful flowers bloomed in expensive glass pots, the name of the ship was engraved in gold on the side of the ship. I was very excited; I couldn’t wait to get to our room! Today mom took us on a tour of the Titanic, everything looked so beautiful like the carpet in the dining room felt like I was standing on a cloud and in the main hall there was a golden chandelier! It was nine o’clock so we got in our beds and went to sleep. It was12:00 midnight, Escar was shaking me “Mom said to get to the top deck immediately,” he hissed. I just mumbled to myself and started to follow him. The carpet was squishy and wet, when we got out of our room the water was an inch high! “What did the plumbing.” I said to myself to make me feel better because I was really scared. When we got to the top deck mom was waiting there for us. She told us to get in the lifeboats so we did, she didn’t. People were screaming and jumping off the side of the Titanic as the lifeboats floated away. 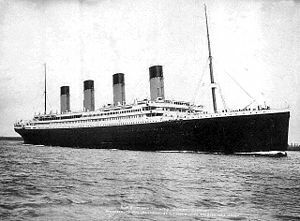 We saw mom standing on the cracked deck of the Titanic as still as a statue, tears streaming down her face. She was holding Mary. The freezing water gushed at her waist, then we didn’t hear screams anymore. The Titanic was gone, so was my mom.